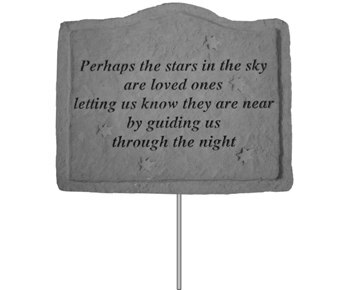 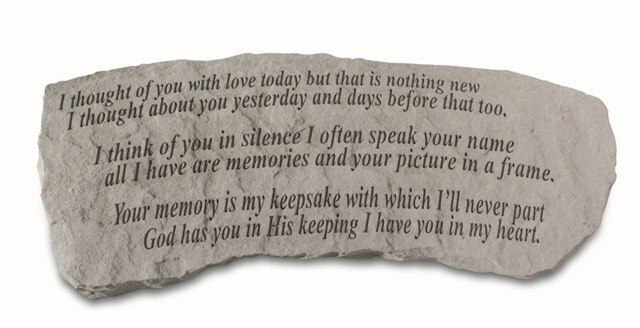 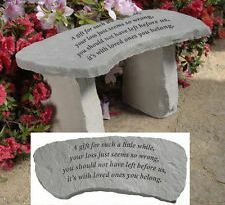 What a wonderful way to remember your loved one with our Garden Memorial Stones, Personalized Memorial Stones or Memorial Garden Benches. 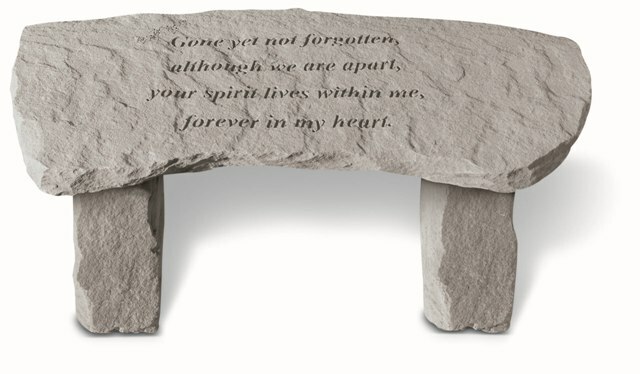 We are constantly updating our items available, so if you do not see it currently listed, that doesn't mean we can't find it for you. 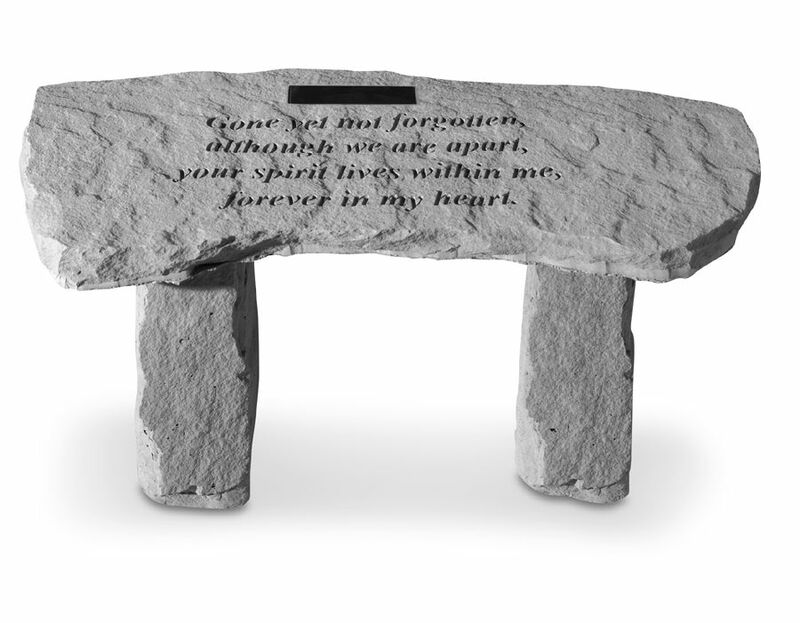 We are here to offer our personal assistance in creating a perfect memorial for your loved one or to find a memorial gift for someone who is dealing with loss. 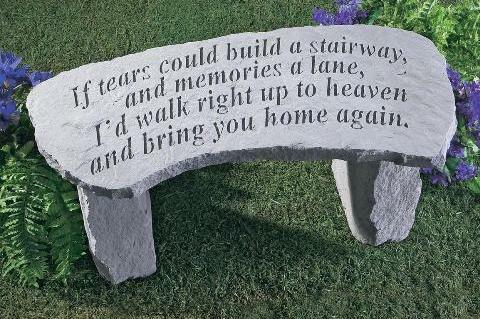 Use these items to create a very special Memorial Garden. 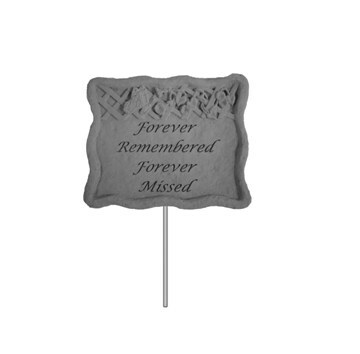 Stop by our blog for some ideas.